Lawrence Christian Center will be meeting at Springhill Suites Marriott. Services will start at 10:00 a.m. in The Allan Room. 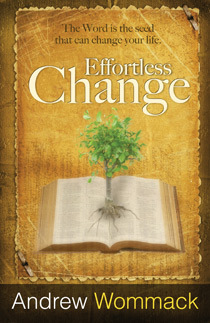 Wednesday night study on "Effortless Change" series at 7:00 p.m. on September 5th! It sometimes appears that change is incredibly difficult. In fact there is a saying people use, "Change in hard". When dealing with willpower and only depending on yourself, change is incredibly difficult. How great is it though that our God of grace does not operate that way. Just as in salvation, He can freely give us change and renewal. Ephesians 5:26 states, "Husbands, love your wives, just as Christ also loved the church and gave Himself for it, that He might sanctify and cleanse it with the washing of water by the word." Just as you would for cleaning out stains in your laundry, the Lord wants to wash us with His Word. The beauty of this is that the more you read scripture, the more you will see stains wash away and you will be changed. When you are close to the Word continually, you will see your life and actions change without you having to exert will power to accomplish it. The God of grace provides a simple path to change. Come out on Wednesday's starting in September to dive deeper into this topic. Hope to see you there! Come check the study out at 7pm on Wednesday nights! You will be blessed! We would love to see you at our services or feel free to call any other time! Did you miss the last service? You can catch the message and any previous messages for free! Don't miss out on what God had to say. Click on the Media link to the left! "For whatever is born of God overcomes the world. And this is the victory that has overcome the world - our faith."